If you forget a password from a Wi-Fi network to which your computer is connected, or you want to find out which networks the computer that is in front of you has previously connected to and what passwords they have, this guide is for you. That is, his manual is suitable if you have physical access to the computer. And it does not matter whether it is turned on or off, works under Windows or under Linux, you have access to the hard disk or to the previously made image from the system disk. In order to find out to which wireless networks this computer was connected earlier and what passwords these networks have, there are several ways. One of them is to use the Windows command line, the second is to use third-party software. In my case, only four profiles are shown, and only for them passwords in cleartext are shown. However, I know that this computer was connected to more wireless networks. 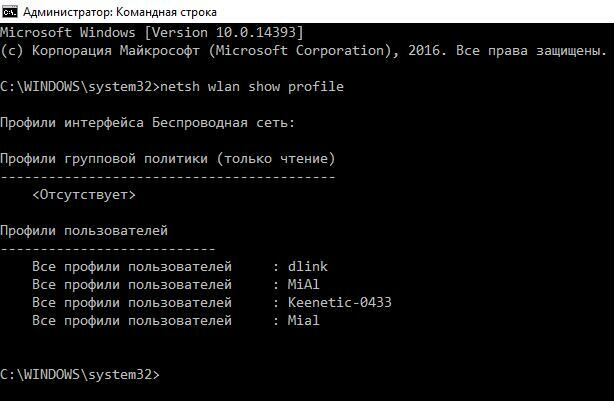 There is a program with a graphical interface for viewing all previously entered passwords of Wi-Fi networks - it is WirelessKeyView. Although the program is closed source code, it is free. Wireless networks and passwords to which the computer was previously connected will be displayed. In Windows XP, wireless keys are stored in the registry HKEY_LOCAL_MACHINE\SOFTWARE\Microsoft\WZCSVC\Parameters\Interfaces\[Interface Guid]. They are well encrypted, so they cannot be seen with RegEdit. However, WirelessKeyView can recover passwords for turned off computers running Windows XP, including those for dead systems that cannot boot. To do this, go to the advanced program options and specify the paths to the corresponding folders. By the way, Windows XP, after you enter the WPA-PSK key, automatically converts it into a 256-bit key. It can be shown by WirelessKeyView, but it cannot convert it back to the original key that was typed. However, this long key can be used to connect to a wireless network in exactly the same way as the original one. 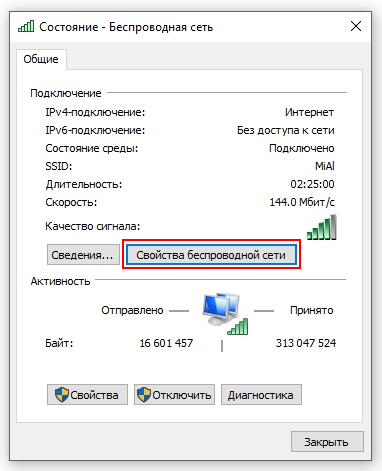 In Windows Vista and later, the WPA-PSK password is not converted, so the program can show the original password. In Windows Vista and later, passwords from wireless networks are stored in c:\ProgramData\Microsoft\Wlansvc\Profiles\Interfaces\[Interface Guid]. Passwords are well encrypted and stored in .xml files. Some additional information, including a sample code for decrypting the password in Windows Vista and later, can be found here. It also says that passwords need to be decrypted in the context of the system, where they were encrypted. In simple terms, they can be decrypted by the user under which they were encrypted, that is they can not be decrypted for a switched-off computer or by copying files to another computer. In Linux, you use Network Manager or WPA supplicant to connect to Wi-Fi. Network Manager is a program with a graphical interface, and WPA supplicant provides a Wi-Fi connection for those who prefer to do everything from the command line. Please note that we did not even need an administrator password - it is enough to be a normal user. Normally, the WPA supplicant configuration files are readable by everyone, i.e. this does not require superuser privileges. If a Linux-based computer is turned off, it is possible to boot from the Live system, or connect a hard disk with the system of interest to the computer that is turned on. If you are conducting a study from Linux, then it is sufficient to mount the target media file system and examine the files mentioned above. You can also do this from Windows, for this, refer to the note "How to view the contents of a Linux disk from Windows and copy files from it".